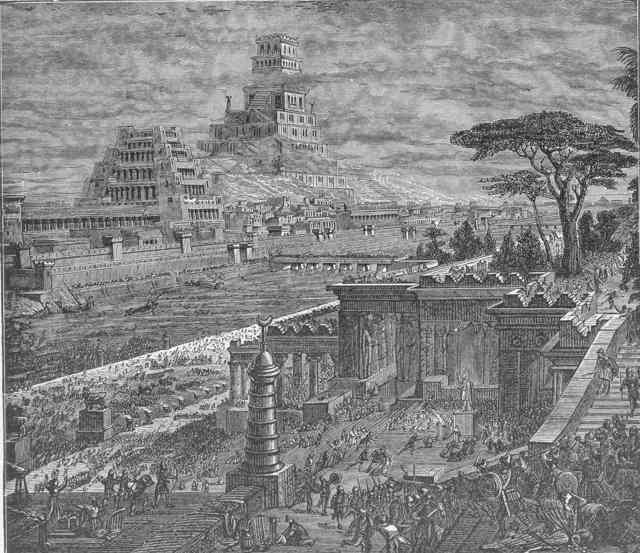 The Hanging Gardens were built in the reign of Nebuchadnezzer in about 570 BC. along with numberous other impressive works, after successful military campaigns against Egypt, Israel, Phoenicians, and Syria. Captives from these campaigns provided cheap labor for these works that glorified the capital of the empire. The Gardens were built by Nebuchadnezzer for his wife Amyitis. She was the princess of the nearby kingdom of Media, given in marriage to Nebuchadnezzer to cement allegiance with that powerful kingdom.